Beautiful, I loved it when it surprised me, giving a strong association to ultrasound imagery. Still at loss for words, so I chicken out and say: what visy said. I really wanted to make the soundtrack a bit "hifier" but ran out of time and perseverance... it's a few years old track recorded in one go, harnessed quickly for this demo. Lovely atmospheric piece. Epoch is seriously making its way towards my personal favorite groups. nicely done, managed to distort my mood and make me contemplative so job well done. I just love shader feedback. Lost particles from the woods of Herwood. Veri jees! Epoch is one of the most interesting groups nowadays because they don't seem to compromise on the vision they start out with to get brownie points from the audience (unfinishedness notwithstanding), nor do they overexplain what they're doing. music reminds me of fallout 1 ambient tracks! I'm not too fond of all the colour choices though. The purple looks garish at times IMHO, but that's a minor complaint. Very, very, very nice. A demo I wish I did. Kylearan: I agree, the colors are a bit garish at times. I had a better post-post color correction originally, but we noticed at the last minute that it was failing horribly on nVidia with no idea why (well, I sort of know why but it wasn't feasible to fix...). The whole color "correction" side overall is... "interesting". Way too similar with "Entropy" and "Exodits, God Shift". You've done the same looking post-processes, particle tricks and such too many times now. But now everything about those you've done before are brought to perfection so I forgive you. Colors are way too monochromic for my taste most of the time. Camera work is insanely good in this one. Soundtrack is maybe the worst one yet but IT'S NOT BAD AT ALL. It's just not as good as tracks in previous Epoch demos. Basically it's too dragged out even for a ambient track. But these epoch demos always have that crazy crazy feeling to them that give me the shivers. Something that fairly unique! Well done demo art. Ranks much higher in my heart! Nice, but lacks edge apart from small details (like the ending cut). 3d models seem kind of under-represented. Kinda felt that the heart should have some particle veins or something. Same with the fetus. Easy thumb up tho because of your high standards with each demo. Some of the color-schemes were really beautiful an refreshing. I would love to do a remix of this idea one day. looks extremely boring but damn that sound! thumbs up for that. Very nice! Should have won! Great ambient track. 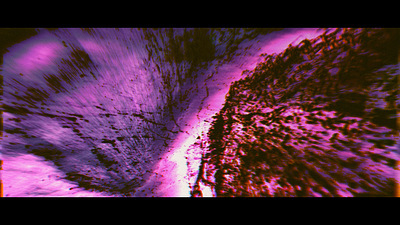 Some nice feedback effects happening in the visuals. I think it's cool how you guys have a very strong concept and style that you aim for. Cute mature demoscener content here. Missed this one! 2015 ?!?¿! page created in 0.018017 seconds with 15 queries.